Essential Songs Series. Composed by Various. Piano/Vocal/Guitar Songbook. Christmas. Softcover. 248 pages. Published by Hal Leonard (HL.311910). ISBN 1423482514. 9x12 inches. Essential Songs Series. 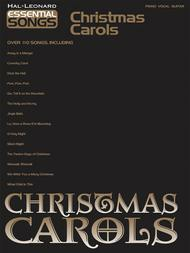 Carolers and Christmas enthusiasts of all ages will love this collection of more than 100 holiday songs arranged for piano, voice and guitar. 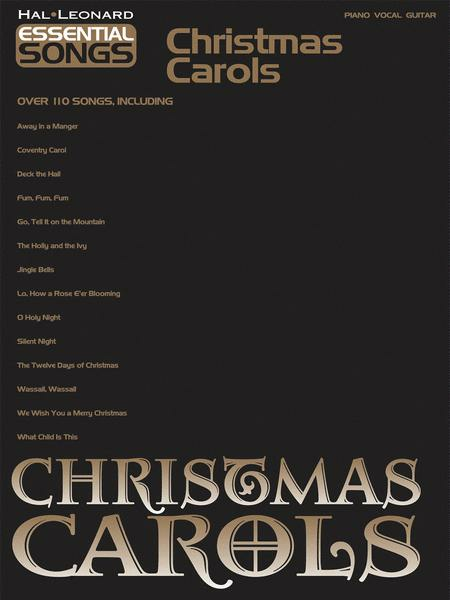 Includes: Away in a Manger • Coventry Carol • Deck the Hall • The First Noel • Fum, Fum, Fum • Good King Wenceslas • The Holly and the Ivy • I Saw Three Ships • It Came upon the Midnight Clear • Jingle Bells • Jolly Old St. Nicholas • O Christmas Tree • O Holy Night • O Little Town of Bethlehem • Silent Night • The Twelve Days of Christmas • We Wish You a Merry Christmas • What Child Is This? • and more.